Our ability to monitor all programs in real time ensures that all of our promises and deadlines are met – and the ability to provide “early warning” on any unavoidable delays. Each program element and expense is fully documented to ensure accurate and transparent stewardship of your resources. Our reporting is easily configurable to meet your internal requirements and conventions. And we also provide high-quality information for forward planning based on accurate prior-year actuals. 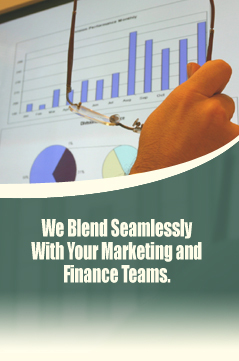 Because we’re serious about managing our business and our workflow, you get the assurance of a sound, stable business partner. For most people, the words “agency” and “management discipline” rarely, if ever, go together. At OnRamp, we’ve changed that. Imagine the benefits you’ll experience by working with a well-managed marketing communications partner!